Isao Takahata Tribute By The Aniwriter (12/5/2018) - Hayao Miyazaki may be regareded as one of the greatest directors of all time, but there is another man who deserves to be recognized, Isao Takahata. Arthifis’ Anime Daily News |Mamoru Hosoda Interview, Blade Runner 2049 Inspired Anime Series, and More (11/29/2018) - Time for your daily news! Today we Mamoru Hosoda Interview, Blade Runner 2049 Anime Series, and more! Goblin Slayer Late Season Impressions | Friendly Talks With Karandi (11/28/2018) - Time to go over Goblin Slayer again and comment the evolution in the last episodes with the awesome Karandi! Arthifis’ Anime Daily News | Neon Genesis Evangelion, TROYCA, and More (11/27/2018) - Time for your Anime Daily News! This time we have Netflix killing the game, yet again! Arthifis’ Anime Daily News | A new Series (11/23/2018) - Goblin Slayer censoring scenes, Pokemon marathon on Twitch and Netflix December Anime Titles! Arthifis Ultimate Guide For The Anime 2018 Fall Season (11/20/2018) - Are you still not sure which Anime to follow this Fall Season? This guide is for you! Goblin Slayer Mid Season Impressions | Friendly Talks With Karandi (11/5/2018) - It's time to sit down and speak with Karandi again. How has been Goblin Slayers' evolution so far? 6 Things Natsume Taught Me About Friendship | Natsume’s Week (10/26/2018) - Natsume is a great Anime which teaches about a LOT, one in particularly is true friendship. Run With The Wind… Sort Of! | Kaze ga Tsuyoku Fuiteiru First Impressions Review (10/23/2018) - I think I got a little click baited by MAL on this one. But, it's ok! It's been a pretty fun "run" for now! The Anime About Chair… I mean… Cheerleading! | Anima Yell! First Impressions Review (10/22/2018) - Let's all do some chair... ehhh.... wait... What? | Anima Yell! First Impressions! A Monochrome World | Irozuku Sekai no Ashita kara First Impressions Review (10/18/2018) - Irozuku Sekai no Ashita kara is, without a doubt, one of the best Animes when it comes to background animation this fall season! Beautiful and Relaxing | Bloom Into You First Impressions Review (10/17/2018) - Bloom Into You First Impressions Review | Is it the Right Anime for you to watch this Fall Season? Anime Fall Season 2018 | What I’ll Be Watching (10/16/2018) - I know it's a little late, but here's what I'll be watching this fall season! Goblin Slayer First Impressions | Friendly Talks with Karandi (10/15/2018) - First post of Friendly Talks With Karandi where we discuss our first impressions about Goblin Slayer. Steins;Gate 0 | A Masterpiece or a Flop? (10/10/2018) - When you do a sequer for an Anime that is considered a masterpiece you need to make sure you don't drop the quality. 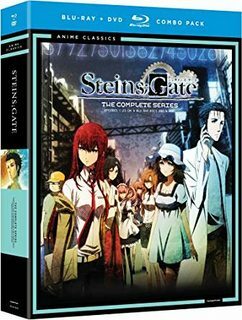 Did Steins;Gate 0 guaranteed the same quality as his prequel? What Is a Psychological Anime? (9/25/2018) - What is a psychological Anime? It seems I can't find a straight answer from the Internet, so I decided to do some research and come up with one! The Shounen-Ai We All Deserve | Doukyuusei -Classmates- (9/24/2018) - I've mentioned Doukyuusei from time to time, but never really did a review about it! So, today I bring you the best Shounen-Ai Anime ever. Is Cuteness Enough? | Miira no Kaikata Review (9/18/2018) - Miira no Kaikata is the cutest Anime I've ever seen! But, is that enough to be a good Anime? Same Background Going With Completely Different Routes | Mushishi & Natsume (9/11/2018) - It's crazy when you try to compare Mushishi with Natsume. Although the background is somewhat similar, the route is completely different! Top 5 Male Characters from Naruto (9/4/2018) - Time for you to know who the hell I like the most in the Naruto series 😀 Male version this time! Collab Announcement! – Playing Cupid With L.A.M.A. (9/3/2018) - Did you think the hot guys had ended? Think again! Fresh collab with Lina, Mel and Aria! Let's ship some guys, shall we? I Don’t Understand Why People Hate The Lost Village So Much? (8/21/2018) - I don't understand why people hate The Lost Village Anime so much. I mean, it's not the best, but it isn't the worst either. Horrible Anime Quest | How To Make Vampire Holmes Bearable to Watch (8/14/2018) - Remember when I said Dynamic Chord was the worst Anime ever? Scratch that! This one takes the lead! What Would I Change to Make Dynamic Chord Bearable To Watch (8/7/2018) - We all know, Dynamic Chord is considered one of the worst Animes ever. So, here's what would I change to make it at least bearable to watch! Finally an Anime I Can Relate – Aggretsuko (7/31/2018) - I love Anime, but let's face it, I can't relate to most of it. This way, it was fresh to finally watch an Anime that I could relate from the beginning to the end! Good Luck Girl! | Binbougami ga! Review – Just… Hilarious! (7/10/2018) - It's time for another Random Anime review! This time it's all about Good Luck Girl! A hilarious Anime that made me laugh throughout all the 13 episodes! Dynamic Chord Review – Dynamic Only in Its Name | The Horrible Anime Quest Starts (7/3/2018) - The Horrible Anime Quest Starts and the first one is Dynamic Chord! Dynamic only in its name I'm sure! Fune wo Amu | The Great Passage, Review: Who Said Dictionaries Aren’t Interesting? (6/26/2018) - Fune wo Amu really got me by surprise. I wasn't expecting much, but it ended up to be a beautiful Anime! Kiss Him Not Me Review | 3 Words: Random, Ridiculous and Hilarious (3/13/2018) - Ok, I know there are a few problems with this one, but it made me laugh so hard, so many times that I just have to love it! Re:Creators Review | And Yet Again, Another Formulaic Anime (3/6/2018) - I did try to watch this until the end, but I just couldn't put the effort! Everyting is "great", but for me is too formulaic! ABP Discussions – Another | Discussing Anime as Ladies and Gentleman (2/23/2018) - Now we have weekly discussions in the party happening in our living room / facebook! Here is the last one! Gantz Review | Shocking Scenes Only for the Shocking Factor (2/6/2018) - Finally I finished Gantz and well... It is something! At least they were able to catch my attention until the end, which is good... Right? Gamers! Review | Playing Misunderstandings Like a Pro (1/23/2018) - While I end up watching Gantz, here's a review for a really nice and funny slice of life! Ballroom e Youkoso Review ft. Creepy Faces and a LOT of Sweating (1/9/2018) - I was not able to watch the Anime I got in the Random Anime Series, but I did finished Ballroom!!! Those creepy faces, though! Library Wars Review | It’s More a Quarrel Honestly (1/2/2018) - The start of my random anime reviews! The first one to get me was Library Wars! Which should be called Library Quarrels! Day 29: An Anime I Wished it Was Real | I’m a Simple Guy (12/24/2017) - To be honest I'm really a simple guy! If it was from any fanasy world I would go with Harry Potter, since it's Anime I go with one that lets me live in the real world (I hope). Day 28: Favorite Quote From Any Anime Character | Hope it Inspires You (12/23/2017) - This one is just way to hard! So instead of one I chose several and instead of all Anime I narrowed it to Nana xD Cheating like a boss! Day 27: Most Badass Scene from an Anime Character | More Fighting Scenes \o/ (12/22/2017) - This is basically the same as yesterday! I mean for me badass scene = epic fighting scene... Oh well, I throw Yuri on Ice! there too! Day 26: Best Anime Fight | Awesomeness lvl 1000 (12/21/2017) - Anime has brought to us so cool fight animations that I've mentioned some of them along this challenge. So, today I'll just pick one! Day 24: Most Shocking Scene in Anime | Making my Mind Go Blank For a Few Seconds (12/19/2017) - SPOILER ALERT AGAIN! There are so many shocking moments in Anime that just makes you gasp in silence so I had to go with a few and not only one! Day 23: Favorite Attack in Anime | Ka…Me…Ah…Me…Not (12/18/2017) - You thought I would go with Dragon Ball for a second there didn't you? Well, not really! I just went with an attack from the Anime I've ben watching! Day 22: Favorite Weapon, gear or armor in Anime | It’s all about fashion! (12/17/2017) - I love over the top fashion, so expect that in this post! Although when it comes to "normal" clothing I always go towards gothic when it comes to Anime! Day 21: Favorite Goofy Anime Character | The Ones that Make You Laugh (12/17/2017) - From the most annoying to the characters that just make us laugh! That's a breath in of fresh air! Day 20: Anime Character that Gets on My Nerves | The Annoying One! (12/15/2017) - There are many annoying characters in Anime so I had to put them more than one! Just because your day couldn't become even worst! Day 19: Most Epic Scene in Anime | 1 Book 1 Death (12/14/2017) - Does the title give it away? Probably it does! It's from Death Note of Course SPOILER ALERT btw! 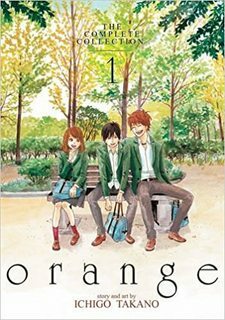 Anime Number 1: And the Winner is… (12/12/2017) - It's here!!!! My favorite Anime of all time! This show just made me have so many feeling through it that well... It just has to be in number 1! Day 17: Favourite Male Anime Support Character | They Deserve a Show of Their Own (12/12/2017) - There are so many support characters than can shine even more than the main character. I went and picked the support characters who could easily have a show of their own! Day 15: Favorite Anime Sidekick | Too… Many… Options! (12/10/2017) - Anime heroes would be nothing without their sidekicks... So... Yes... I cheated again!!! Let me be, ok? I just went with a human, pet and summoning! Day 13: Anime Character I am most similar to | Thriving to be the best version of myself (12/8/2017) - One thing is certain... I'm always doing my best to improve myself. This way I had to go with the character I think is the most like that! Day 12: Saddest Anime Scene | All aboard the feel train 2.0 (12/7/2017) - Because the saddest death for the gaming challenge wasn't enough, here we go into the feel train all over again. Day 10: Favourite Fighter Anime | I Don’t Really Get this One (12/5/2017) - I don't get it.... What is a fighter anime? Is it the Anime, the scene or just the character? To be sure I just answered to the 3 of them! Day 6: Anime I want to see but haven’t | Girls transforming into dogs? (12/1/2017) - Procrastination FTW! We all have one of these, a show that you know that you will probably love, but then you end up not watching it... Today, the challenge is about just that! Anime Number 3 – Code Geass (11/28/2017) - Code Geass is just one of the most intelligent stories I've ever seen! I'm not really into mecha, but Code Geass is so much more than that! Without a doubt, one of the best Animes out there! Day 2, I mean 3: Favorite male anime character | A mad scientist (11/28/2017) - There are so many good male characters in the Anime World, but for thi one I had to go with my favorite mad scientist of all time! Anime Number 6 – Baccano! (11/7/2017) - Let's face it, most of the Anime I don't even know what is happening... But hey! I don't even know what is happening in my life most of times... So, there's that! Anime number 7 – Your Lie in April (10/31/2017) - Your Lie in April is just beatiful! Few other stories made me to have so many feelings! Anime number 8 – Another (10/24/2017) - In a few words, the best horror Anime I've seen so far! Anime Number 9 – No Game No Life (10/17/2017) - No Game - No Life... Basically my motto! 2 Gamers go to a world where everything is settled by games! Nice premise, but does the Anime deliver it nicely? The start of my top10 anime! (10/10/2017) - The Beginning of my Top 10 Anime and one of my first posts! Let's say I've grown as a writer since then!